This is a guest post by Guillermo Rosas and Luigi Manzetti. It summarizes their recent paper, ‘Reassessing the trade-off hypothesis: How misery drives the corruption effect on presidential approval’ that was published in Electoral Studies, Volume 39, September 2015, pp. 26–38. In “Reassessing the trade-off hypothesis: How misery drives the corruption effect on presidential approval”, we scrutinize a belief common among observers of Latin American politics according to which citizens in the region support corrupt governments as long as these are able to keep the good times rolling. Presidents that have arguably condoned corruption yet managed to win reelection include, among others, Carlos Menem in Argentina and Dilma Rousseff in Brazil. Observers often employ the lema “rouba, mas faz” (he steals, but he delivers) that characterized Ademar de Barros, an early 20th-century governor of the state of Sao Paolo, to celebrate the political longevity of these leaders. Though a limited version of the trade-off hypothesis focuses on citizens that receive some direct benefit in exchange for supporting a government that otherwise condones corruption, a more general claim suggests that voters might be willing to tolerate corruption as long as governments oversee high economic growth and low rates of inflation and unemployment. To test this more general flavor of the “trade-off hypothesis”, we analyzed information from over 141,000 respondents in 83 nationally representative surveys fielded by Americas Barometer between 2004 and 2012. Rather than focusing on the declared vote intention of respondents, we concentrated on their levels of “presidential approval”, that is, on their assessment of their country’s president on a 5-point scale. We also avoided the use of elicited perceptions of corruption, because this indicator typically produces a large endogeneity bias as individuals tend to declare high perceptions of corruption whenever they disapprove of their government. We show in our study that using an indicator of corruption victimization produces more reasonable estimates of the effect of corruption on presidential approval. Figure 1 displays partially-pooled estimates of the “corruption effect”—that is, the estimated impact of being a victim of bureaucratic corruption on an individual’s proclivity to approve of the president—in the 83 surveys that we inspect (in arriving at these estimates, we control for several individual- and survey-level confounders). For comparison, we also display as a grey horizontal bar the 95% credible interval corresponding to our estimate of a negative corruption effect pooled across all surveys. With the single exception of Bolivia in 2010, where our estimate of the corruption effect is positive but substantively small, we either uncover no effect or a negative effect across surveys. In Brazil 2008, for example, the estimated corruption effect is clearly negative, but we cannot detect a similar effect in Brazil 2010. What explains these varying corruption effects? We focus on understanding whether a country’s economic performance deepens or assuages the effect of corruption victimization on approval. Based on the logic behind Arthur Okun’s celebrated misery index (misery = inflation rate + unemployment rate), we expected inflation and unemployment to have a greater impact on the size of the corruption effect than economic growth. The rationale is that misery has a higher impact on the purchasing power of an average citizen. Inflation, in particular, is a tax that affects all citizens; more specifically, situations of high inflation are extremely disruptive, and ordinary citizens have little capacity to protect themselves from its worst effects. Similarly, high unemployment reveals that labor markets may be extremely tight, so that even those lucky enough to be employed cannot easily search for better-paid jobs. The primacy of inflation and unemployment as potential drivers of the corruption effect is also well documented in clarity of responsibility thesis according to which citizens perceive both factors to be under the control of the incumbent government. We find that inflation and unemployment have a discernible impact on the “corruption effect” in the Latin American surveys that we analyzed; in contrast, we do not find evidence that economic growth matters either way. Figure 2 shows how estimates of the corruption effect tend to become larger (i.e., more negative) as the rates of inflation and unemployment increase, while controlling for obvious survey-level covariates. We acknowledge in our study that observations from Venezuela, which suffered extraordinary high rates of inflation between 2006 and 2010, may affect our inferences inordinately, but we also believe that Latin American citizens would react similarly in the face of hyperinflation. Consequently, we suggest that information provided by the Venezuelan observations should be, at worst, only mildly discounted. Based on presidential approval series, we conclude that Latin American voters are not easily duped. Those who experience corruption assess the country’s president negatively, and inflation and unemployment tend to lower a president’s average rates of approval. But along the lines of the more general “trade-off” hypothesis, we also find that the worse marks on presidential approval come from those that suffer corruption in economic environments characterized by inflation and unemployment. Electoral accountability may yet foster good governance in Latin America. 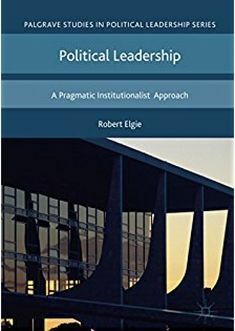 Naturally, there is a long causal chain going from presidential approval to vote choice to removal of governments that condone bureaucratic corruption, and even when voters disapprove of a president they might lack better alternatives among the opposition. At the very least, however, we should eliminate stereotypes about voters that prefer “corrupt but effective” leaders” over “clean but inept” politicians. Latin American voters do not forget the slights of corruption victimization as soon as they are in a macroeconomically stable environment; if there is something akin to a trade-off hypothesis, it is only because they return a harsher verdict on the executive when misery is added to the indignities of bureaucratic corruption. See Matthew S. Winters and Rebecca Weitz-Shapiro. 2013. “Lacking Information or CondoningCorruption? Voter Attitudes Toward Corruption in Brazil.” Journal of Comparative Politics 45(4):418–436. The Latin American Public Opinion Project (LAPOP) produces the AmericasBarometer, which can be found at www.LapopSurveys.org. See, among others, Mitchell A Selligson. 2006. “The Measurement and Impact of Corruption Victimisation: Survey Evidence from Latin America.” World Development 34(2):381–404. We employ an indicator that is coded 1 when the respondent reports a bribe solicitation from a public employee at any point during the twelve months that precede the interview. Elizabeth Zechmeister and Daniel Zizumbo-Colunga analyze within-country variance to address this same question. Zechmeister and Zizumbo-Colunga. 2013. “The Varying Political Toll of Concerns about Corruption in Good versus Bad Economic Times.” Comparative Political Studies 46(10):1190–1218. G. Bingham Powell Jr. and Guy D. Whitten. 1993. “A Cross-National Analysis of Economic Voting: Taking Account of the Political Context.” American Journal of Political Science 37:391–414. Guillermo Rosas is Associate Professor of Political Science at Washington University in St. Louis. His research focuses on the economic consequences of political regimes and on the effects of political institutions on political behavior in Latin America. Luigi Manzetti is a research associate at the Tower Center and at the Center for Civil Society Studies of the Copenhagen Business School. He specializes in issues that include governance, corruption, and market reforms in Latin America. This entry was posted in Latin America and tagged Corruption, Latin America, president on September 3, 2015 by Robert Elgie.